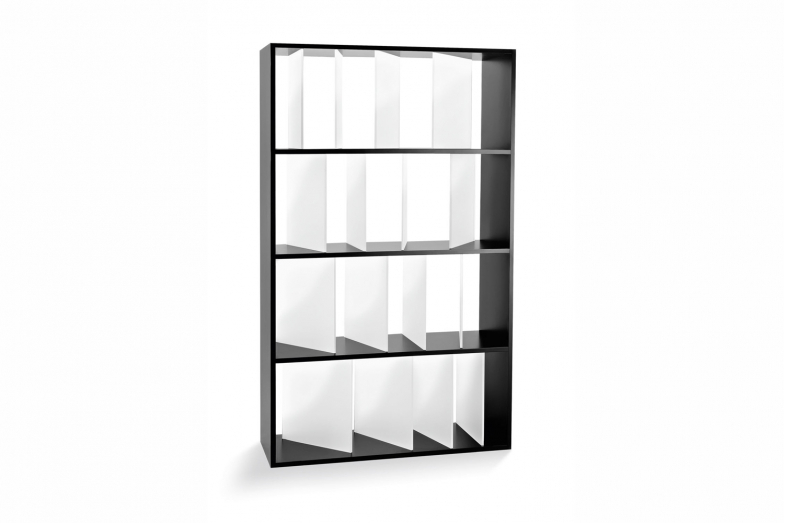 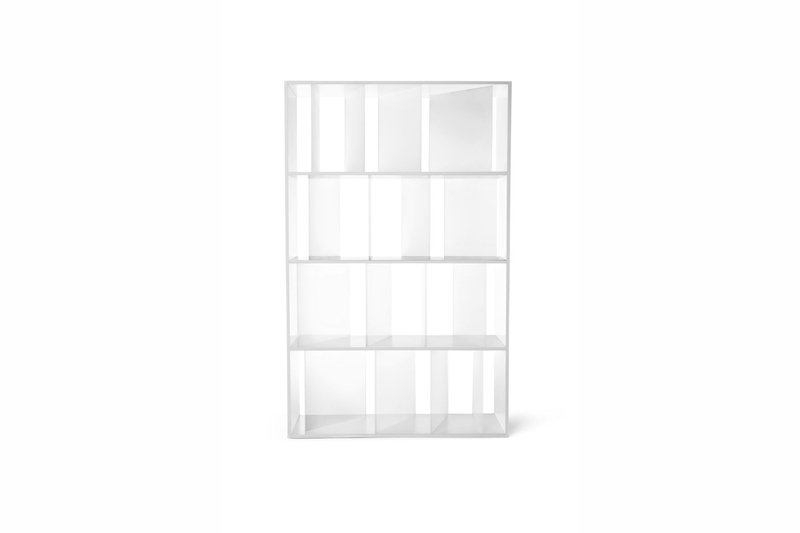 The Sundial bookcase, with glossy white or black frame and four shelves, features opaline dividers set at various angles like the shadows of a sundial. 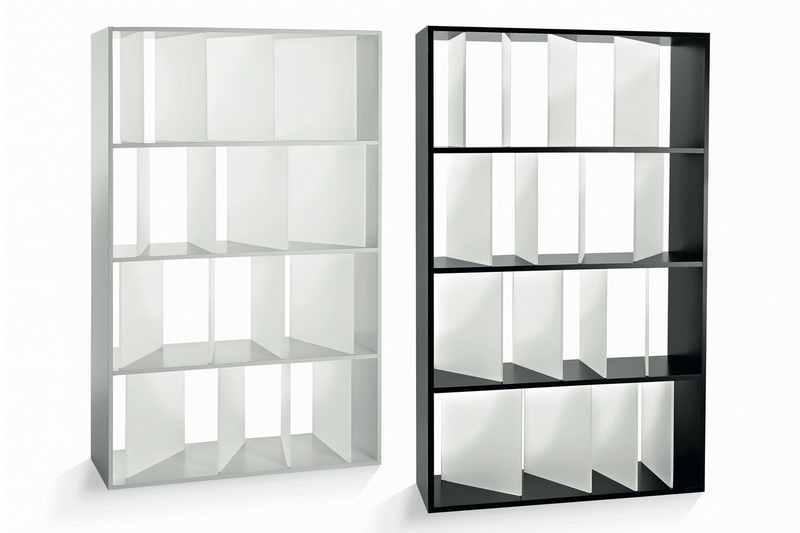 The dividers and the books look to the beholder as if they were in constant evolution. Sundial is a light and versatile bookcase, and not overwhelming in size, allowing it to be set against a wall or used as a room divider. 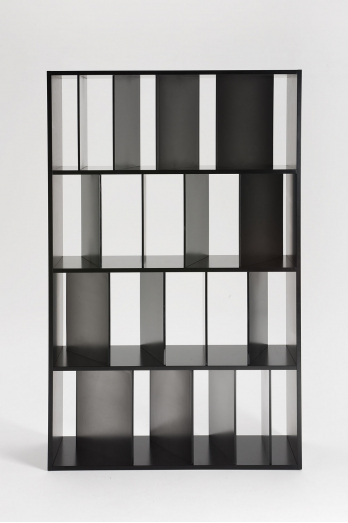 The detail in the separators set at different angles gives a note of originality and arouses curiosity.